The partnership kicks off in time for the fall 2019 season, extends through 2022. In keeping with our goal to provide the best players in the world with the most innovative designs and technology we are excited to partner with the Upper Midwest Elite League, as they have proven a similar commitment to high end excellence. 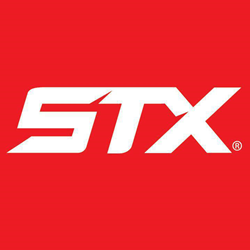 Global sporting goods leader STX and the Upper Midwest High School Elite League, today announced STX as the official hockey equipment and apparel supplier for the Minnesota-based elite hockey league. The Upper Midwest Elite League is one of the top high school hockey leagues in the country, drawing talent from schools across Minnesota, North Dakota, and Wisconsin, including Shattuck-St. Mary’s, the Academy of Holy Angels, and Eden Prairie. Scouts from colleges and universities, junior leagues, and professional teams attend the league’s games, providing critical exposure for top players eyeing the next step and beyond. The league has sent many players on to play at the professional level and currently there are more than 30 Upper Midwest Elite League alumni playing in the National Hockey League (NHL). STX and the Upper Midwest Elite League share a commitment to growing the game and supporting the development of youth hockey players, providing top-level opportunities, resources, and instruction. With the league’s network of elite players and STX’s high-performance gear, both organizations see the partnership as a natural fit. STX is recognized globally for innovation in equipment design and development, with gear made specifically for the power and precision players. The first major hockey brand to launch a direct to customer e-commerce model, STX is a leader in making high-performance hockey products, including sticks, protective gear, gloves, apparel, bags, and accessories. Starting fall 2019, Upper Midwest Elite League players will suit up and hit the ice in STX hockey equipment and apparel. The partnership is a three-year agreement and extends through 2022. STX is a global sporting goods leader in the sports of ice hockey, lacrosse, and field hockey. Taking an inventive, research-based approach to building equipment for the elite athlete, STX has established itself as a leader in high-performance ice hockey products available directly to the consumer. Based in Baltimore, STX has been universally recognized for innovation in product design and development. STX continues to strive for new performance standards in sporting goods equipment at the highest levels of competition. For more information, visit http://www.stx.com. The Upper Midwest High School Elite League, based in Minnesota, is one of the top high school hockey leagues in the country committed to player and personal development. Players from Minnesota, North Dakota and Wisconsin form the most competitive High School League in North America. Many of the league’s players go on to play for D1 college and university programs, junior league, and professional teams. For more information, visit http://www.hselitehockey.com/.